Hot on the tail of my last post, here is another one using the same My Mind's Eye paper line. 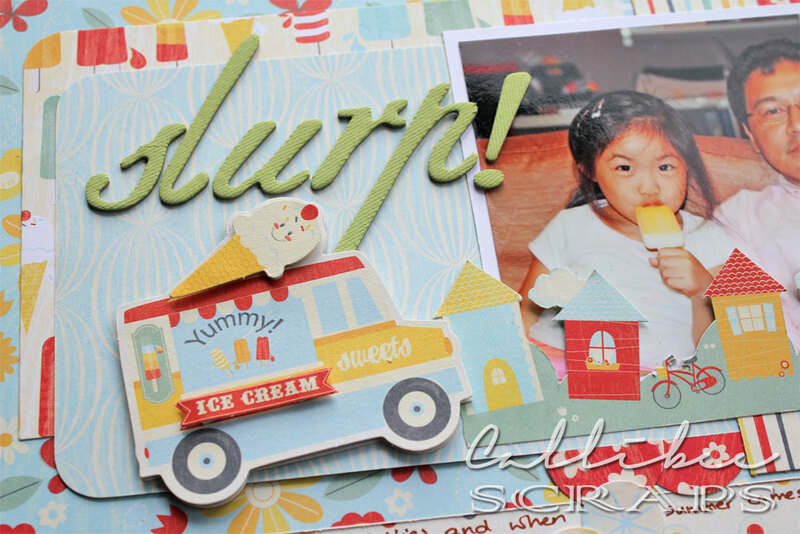 The other elements I saved for this layout was all about ice creams and ice lollies and I had to dig out the daddy/daughter photo from two years ago to scrap. Aren't my two precious people the cutest with their ice lollies? 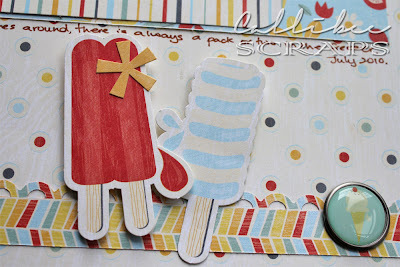 Yup, makes me want to get the lollies out from the freezer. Is that ice cream van not the cutest? Wish there were more Mr Whippy's around now. What was your favourite lolly? I still love lifesavers. You know, the rainbow lollies.